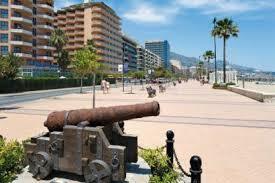 In ancient times it was named Suel but this large town on the Costa de Sol is now known as Fuengirola. Fuengirola is a favourite place for many tourists and families for holidays because of its 8 kilometers of wide sandy beaches along with a great subtropical-Mediterranean climate. It lies 25 kilometres from the Malaga International Airport and is easily accessible by road, railway or by bus. Previously a tiny fishing village, this buzzing cosmopolitan town now offers all the facilities that is expected of any major tourist spots which include hotels, restaurants, bars, sports clubs and broad beaches along a promenade with colourful flowers and palms. Because of these, it isn’t at all surprising why so many different kinds of people choose Fuengirola as their number one choice for holiday spot. 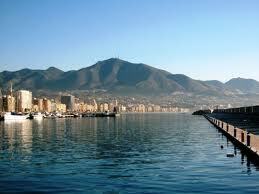 One of Fuengirola’s main attraction is of course, its 8 kilometers of sandy beaches. It stretches from Torreblanca to the east and Sohail Castle to the west. The beaches along the town which include Torreblanca, Los Boliches and Gaviotas hold a European blue flag. Water sports are also strongly featured. Speed boats, jet skis and fishing gear can easily be rented at the marina. 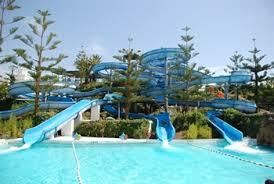 Fuengirola also has a number of historical sites and open parks although it is a comparatively developed resort. The Arab castle called Sohail was an abandoned ruin until it was completely renovated in the year 2000. Now this castle host local festivals and concerts all throughout the summer season. It is also considered one of the highlights of the town’s historical and cultural scene. Another great place to visit is the old port which is still being used by local Spanish fishermen today. Fuengirola is an ideal golfing spot. It is right in the heart of Costa del Golf, which is a golfing territory. Mijas Gold and many other courses are just a few kilometres from the town. There is no shortage of things to do in this town. There are available fun family activities like a visit to the Aqua Park, a trip to the Fuengirola zoo or a ride through the town on a horse-drawn carriage or on the little train. A new attraction is the Fuengirola Town Hall which has been innovatively designed with a large plaza, great for walks. Market day falls on a Tuesday. It is the largest outdoor market on the coast which also attracts locals and tourists from nearby towns. Wares for sale include traditional Andalucian goods to fake designer clothes and watches. Good restaurants and many up-market tapa bars are interspersed all around town. 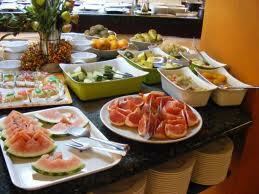 Local as well as international cuisines are abundant to cater to the varying taste of tourists.